We’re excited to be able to present ‘Garland’, the first cut from The Torchlight Parade. Vol. II, the second and final part of Slow Dancing Society’s The Torchlight Parade. Vol. II represents the tenth album in the US-based ambient artist’s expanding discography, which began with The Sound of Lights When Dim (2006), now considered one of the classics of modern ambient. The Torchlight Parade. Vol. II will see release on the 3rd of August. 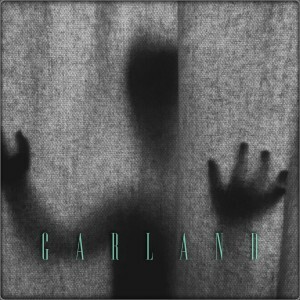 ‘Garland’ is available to stream via SoundCloud and download via Bandcamp. Volume II of Slow Dancing Society’s (Drew Sullivan) The Torchlight Parade continues the artist’s immersive nocturnal sonic tapestries. While Vol. I was marked by a sense of exploration and tension, Vol. II arrives at a place of reflection and resolution. Much like its predecessor, where each track title references a specific place in Sullivan’s home town of Spokane, Washington, Vol. II also creates its own distinct geography – both external and internal. From the graceful melancholy of single ‘Garland’ to the smoky radiance of ‘Shadle Park’, Vol. II is a deeply evocative ambient experience. Sullivan’s ability to work within the ambient format, yet create such complex and engaging narratives is a special thing indeed. Following in the footsteps of Eno, these works are soundtracks to films yet made. All Slow Dancing Society’s music is available for licensing (film, tv, web, games and beyond). More info here.